We are currently accepting application forms for the upcoming school year. Please fill out ALL fields of this form. We will only be accepting limited amount of new student applications for the coming year. If you have any questions or concerns you'd like to discuss with us, please contact us at 407-636- 5994 . Tuition Cost is $1,000 per child. As the parent(s) or legal guardian of the above child, I/we authorize any adult acting on behalf of the Chabad Hebrew School to hospitalize or secure treatment for my child, I further agree to pay all charges for that care and/or treatment. It is understood that if time and circumstances reasonably permit, the Chabad Hebrew School personnel will try, but are not required, to communicate with me prior to such treatment. I hereby give permission for my child to participate in all school activities, join in class and school trips on and beyond school properties and allow my child to be photographed while participating in the Chabad Hebrew School activities and that these pictures may be used for marketing purposes. I hereby give permission for my child to attend all field trips and outings sponsored by Chabad Hebrew School. I hereby give permission for my child to be photographed. 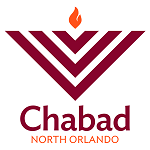 Photos may be used for promotional purposes for Chabad Lubavitch of North Orlando. Your application is not complete without a payment plan. Chabad Hebrew School does not reject anyone due to lack of funds. If you feel that you need a special payment plan please call our office at 407-636- 5994. Tuition Cost is $1000 per child.